Columbo - The rumpled detective genious! Detectives will always be a favorite “character” in fiction, be it books, movies, plays, or in the case of the lovable scruffy but ingenious “Lt. Columbo,” TV. Peter Falk famously portrayed "Lieutenant Columbo," a Los Angeles police department homicide detective in the very popular NBC series. 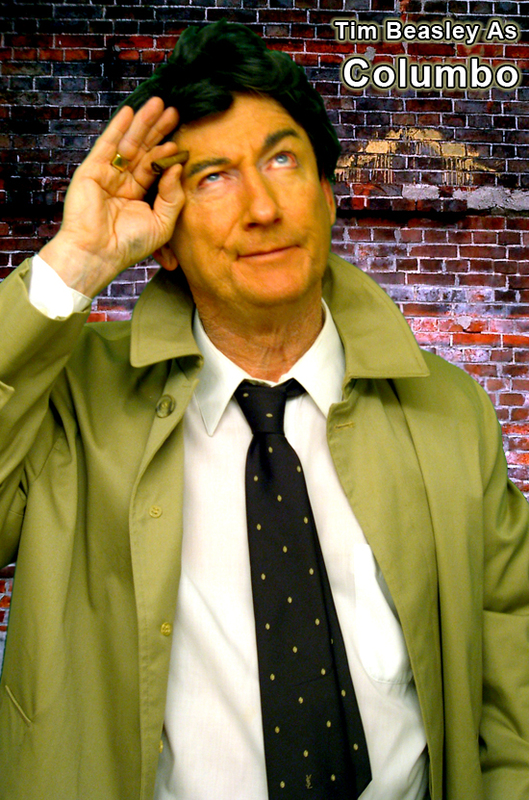 National variety impersonator Tim Beasley performs in his unique and hilarious role as “Columbo.” Tim, as your special guest “Columbo,” adds a grand element of fun to corporate events, private parties and “Detective - Police” theme special events!!! 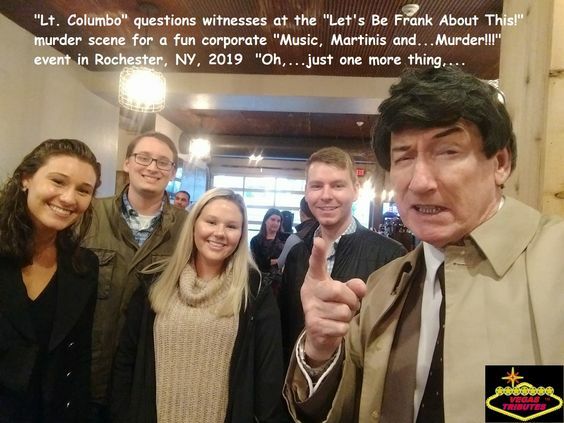 One special "Columbo" performance is the very unique 'Music, Martinis and...Murder!!! TM" Murder Mystery Games for glamorous "Celebrity Murders" that were the common theme for the TV show where the rich and famous were the central characters. In ours, Tim begins the fun performing as your choice of "musical superstar" in full and complete impersonation, be it "Frank Sinatra, Dean Martin, Tony Bennett, Rod Stewart, Neil Diamond, Billy Joel, Tom Jones, or even Willie Nelson and Kenny Rogers! 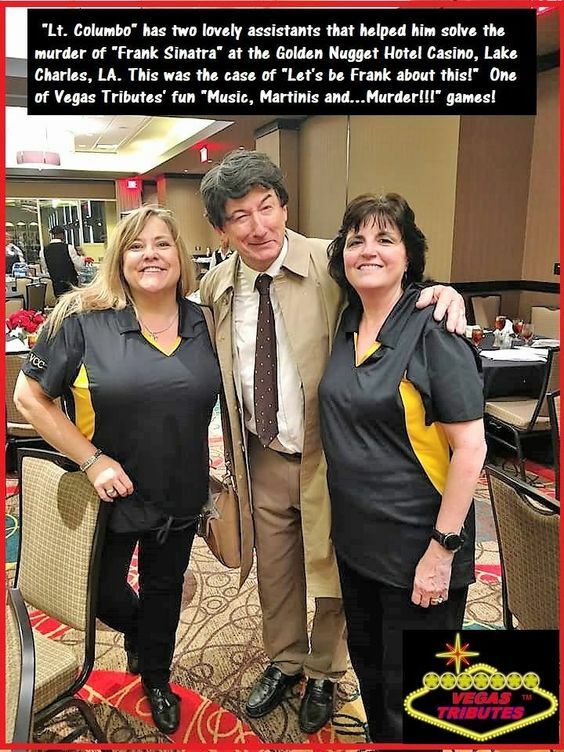 This is a fast paced, exciting and also hilarious audience participation game, and Tim is the world's only one-man murder mystery performer, in a craft he learned and perfected from many performances in the 1980's for the original "murder mystery games!" So, being it's only Tim, he creates many "red herrings" into the audience so "everyone is a suspect!" ..also this makes his production affordable coast to coast as it's only a one actor cast, it's also only a one plane ticket and one hotel room travel! Big Entertainment Value hit!!! Here's a teaser video about that fun and exciting "Let's be 'Frank' about this!" 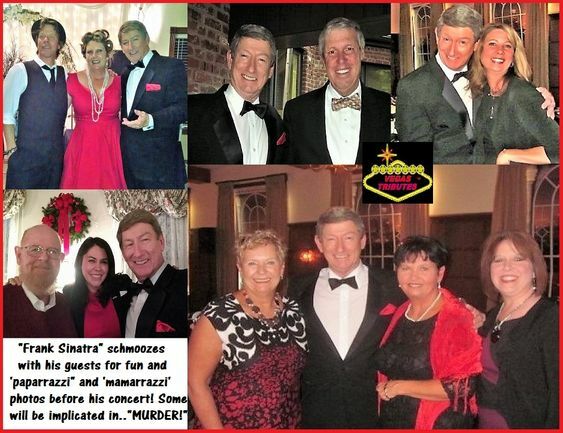 episode of "Music, Martinis and...Murder!!! TM"
If you're having a party celebration for a special someone, and you'd like to put them on good for a little bit ala a "roast," tell us "who" you’d like to “interrogate.” For these, just give "Columbo" a bit of fun history on the "suspect" before the event, and we’ll custom write a great “crime” for everyone to have fun helping “Columbo” solve! Lots of laughs guaranteed!!! We call this "Roast and...Arrest! 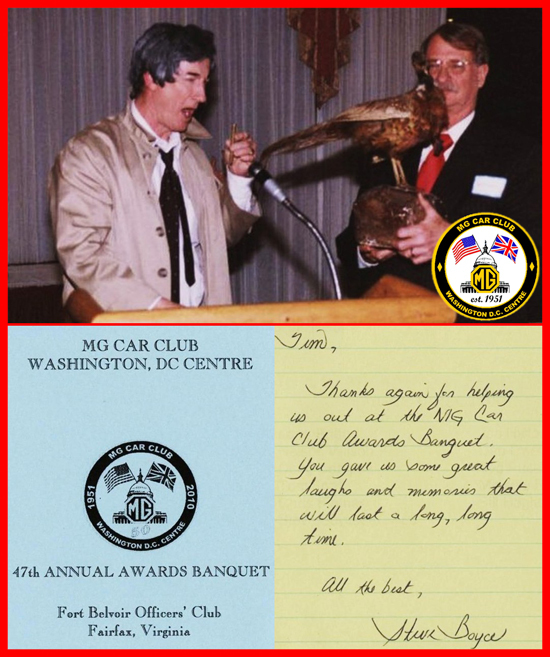 TM"
"Columbo" presents Dave Gillett with the MG Car Club of Washington, DC's coveted "Morris Award," which is an "inside joke," after solving the "Case of the missing Medallions!" Please call, we love to talk "Falk" and yes, you can text, too!! !